Grow Leaders. Equip Team Members. Engage Your Church. Add On "Lead Worshipers 101"
Do your team members know what their role is as lead worshipers? 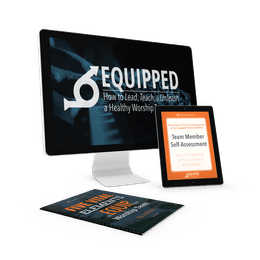 In this premium course, they'll learn about Biblical worship, how to engage the congregation, and even how to be more expressive with their worship. Only $17 today.